Vintage Roland Green R.G. 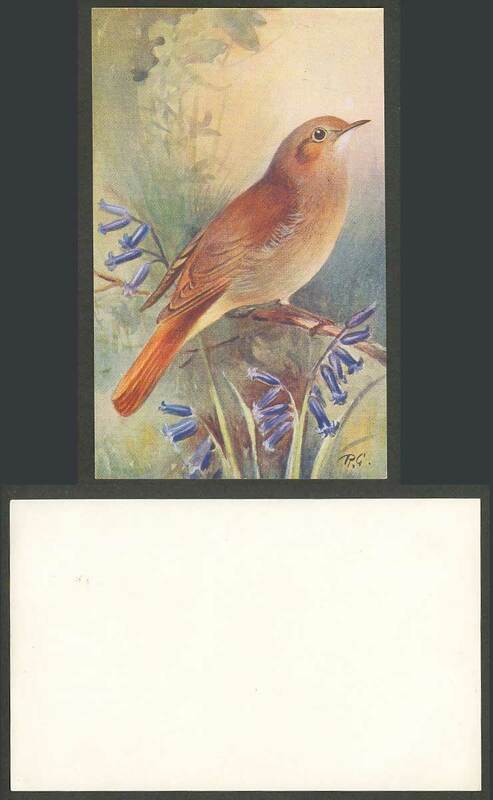 Artist Signed Art Drawn Colour Old Card. Birds. Bird. Nightingale (Daulias Luscinia). This noted songbird is found over most of Europe. Its favourite places are small woods and thickets, insects, worms and berries being its chief food. The melodious song which is sung by day as well as night ceases when the young are hatched. The nest is usually on or near the ground, and four to six eggs are laid.